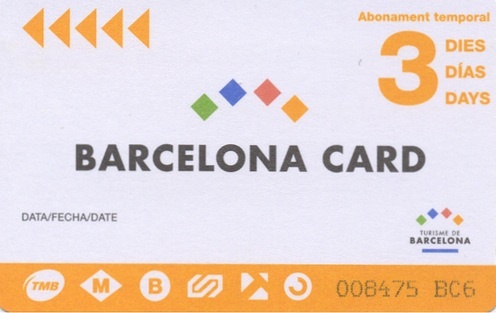 Free public transport on the city's metro and TMB buses and FGC city and suburban trains, trams, train to Barcelona's airport and Renfe trains zone 1. Free Entry or Discounts worth up to €320 and the chance to skip the queue at 80 museums, attractions, tours, gardens and restaurants. Complete list here. A guide to the discounts and offers, city map and a metro map. Prices start at €40.5 for two days for an adult, and €18.90 for ages 4-12 (there's a 10% discount if you purchase it online). Pick it up at tourist offices in Airport Terminal one or two, or at the Plaça de Catalunya or the Plaça Sant Jaume.